King Ten is a critically acclaimed Harold team in Los Angeles. Now celebrating their 15th year they’re the longest running Harold in L.A. King Ten Performed at iO West, but have now moved to M.I.’s Westside Comedy Theater. Individually these veteran improvisers have written and appeared in television series, commercials and feature films, as well as taught classes, workshops and coached all over the world. Fast paced and thematic the show is not to be missed. King Ten has toured the country and has been headliners in many Improv Festivals including: The LA Improv Festival, The Phoenix Improv Festival, Out of Bounds Improv Festival in Austin, TX, The Detroit Improv Festival, The San Francisco Improv Festival and many more. 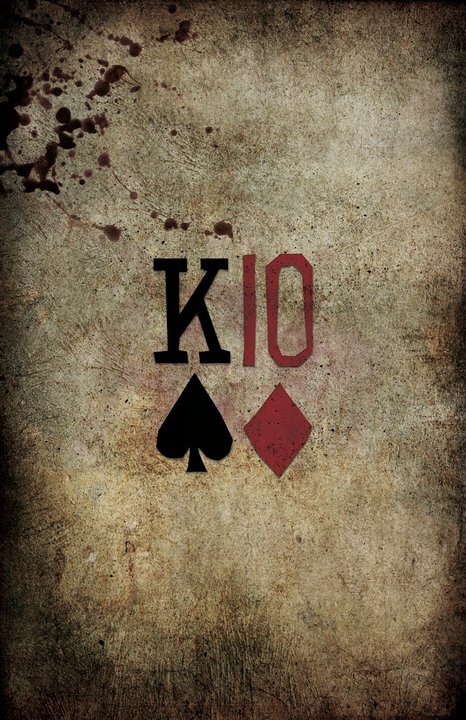 The cast of King Ten is Jon Crowley, Karen Graci, Dave Hill, Nick Armstrong, Tommy Bechtold and Amy Click. The Harold is a longform improvisation piece developed in Chicago by the late legendary improv guru Del Close. The Harold was brought to fruition through Close’s collaboration with Charna Halpern, and the two founded ImprovOlympic (now iO) with The Harold as their signature form. The Harold and the iO approach is now studied, taught and performed all over the world. The Committee, a San Francisco improv group, performed the first Harold in Concord, California in 1967. They were invited to a high school and decided to do their improvisations on the war in Vietnam. On the way home in a Volkswagen Bus they were discussing the performance when one of them asked what they should call it. Allaudin (Bill) Mathieu called out “Harold.” It was a joking reference to a line from A Hard Days Night where a reporter asked George Harrison what he called his haircut; he answered “Arthur.” Close later remarked that he wished he had chosen a better name. When The Committee disbanded in 1972, improv company “Improvisation, Inc.” was the only company in America continuing to perform Del’s “Original” Harold: A 45-minute free-form piece that would seamlessly move from one “Harold technique” to another. In 1976, two former I-Inc performers, Michael Bossier and John Elk, formed “Spaghetti Jam”, performing in San Francisco’s famous Old Spaghetti Factory through 1983. Spaghetti Jam performed Harolds while also turning Spolin games and Harold techniques into stand-alone performance pieces… i.e. Short-Form Improv. Early performers of The Harold also included Betty Thomas, Jose Simon, Terry McGovern, Buzz Belmondo, Robin Williams, Barry Sobel, Gil Christner, Joyce Imbesi, Taylor Negron and Paul Willson. Close’s book, Truth in Comedy, which was co-written by Charna Halpern, is the definitive text on the form. It describes a “training wheels Harold” as three acts (or “beats”), each with three scenes and a group segment. With each beat, the three scenes return. By the end of the piece, the three scenes have converged into one common theme, universe or both. No two Harolds are ever the same.